Comments : Comments Off on Happy Easter from Agnetha! The first permanent exhibition to celebrate Sweden’s most successful band will open to the public in May. The BBC‘s Maddy Savage was given an exclusive preview of Abba The Museum. From the moment you touch down at Stockholm’s Arlanda airport, you get a taste of the impact the museum is hoping to make. There are banners advertising its launch, a giant TV blaring out clips of Abba videos, and a revolving glass cabinet featuring replicas of the glittering costumes worn by the band as they shot to fame in the Eurovision Song Contest in 1974. 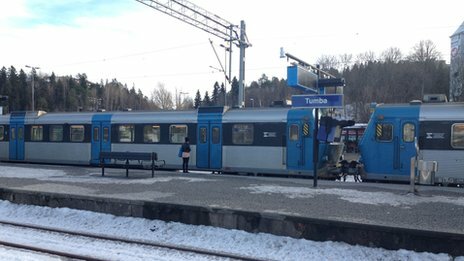 Forty kilometres (25 miles) away, the museum site on the island of Djurgarden in eastern Stockholm is still packed with builders and technicians wearing yellow hats and jackets. But they are well on track for the venue’s launch and are completing what should become a star attraction within the exhibition. 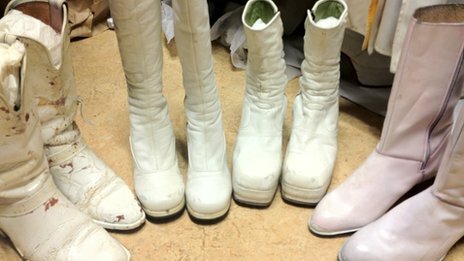 “We are entering the place where each and every visitor can, for a brief moment, become the fifth member of Abba,” says the museum’s managing director, Mattias Hansson, as he guides us into a bright white room containing a small white platform. The sounds of drilling and hammering echo around the building. Each fan will be able to view their performance online and upload it to social networking sites to share with friends and family. They will also have the chance to virtually try on Abba’s trademark sparkly dresses and flared trousers with the help of green screen technology. Abba has sold almost 400 million albums around the world and a film featuring their hits, Mamma Mia!, is the most successful musical movie of all time. Almost 50 million people have seen the stage version of the production. Stockholm has long considered building a museum to celebrate its most popular music export, but the band was initially hesitant about the idea, with Bjorn Ulvaeus saying he did not want to become “a museum artefact before I’m dead”. Previous plans for a permanent exhibition in a disused customs warehouse in Stockholm harbour collapsed in 2008. The new museum has the band’s full support, with Ulvaeus offering daily direction to some of the 50 staff involved with the final preparations. He is busy promoting the project in Germany, where Abba has a loyal fan base. “Bjorn told me that as time has passed, it is becoming easier to look back at those years, both the beautiful memories and also the hard times,” says Mr Hansson. The museum’s curator, Ingmarie Halling, is the band’s former stylist and says her work remains an emotional experience. 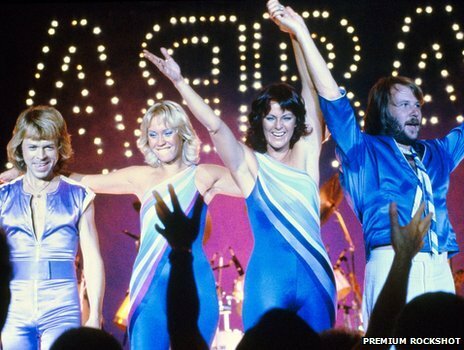 Ms Halling says she did not just want to “put labels on glass cabinets” and instead has combined her favourite Abba memorabilia to create sets where visitors can follow in the band’s footsteps. These include the group’s song-writing cottage on the island of Viggso, where the group were inspired to write many of their hits, surrounded by seagulls and boats. “Bjorn told me that when he heard Benny playing the piano in the morning, he knew that they would be composing that day!” smiles Ms Halling. The hut is her favourite section of the museum, both because she has fond memories of midsummer parties with the band there and as a lifelong fan of Sweden’s archipelagos. Her other sets include the legendary Polar Music Studio, where the band recorded some of their biggest hits, and Edmonton Ice Hockey Arena, where they performed in 1979 as part of their final world tour. “Visitors will come into the dressing room there and Abba have just left, so there are empty champagne glasses and you can hear that they are on stage,” Ms Halling explains. “It feels like coming home when I go into that room, even though it was 30-odd years ago! Some of the exhibits were included in the Abbaworld show that toured Australia and parts of Europe between 2009 and 2011. 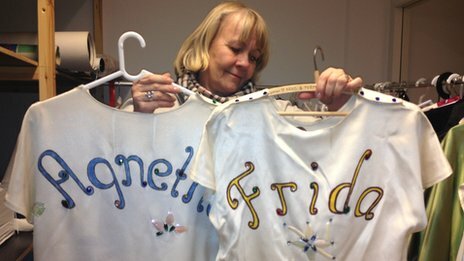 The band members have also donated clothes and memorabilia from their private collections. Ring Ring, the group’s first major hit in 1973, will be celebrated with the red telephone Agnetha Faltskog posed with in publicity shots. It has been connected to an outside line and only four people in the entire world know the phone number. 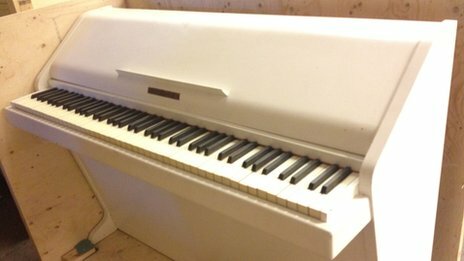 A sister exhibition, The Swedish Music Hall of Fame, is also being built on the same site. There, visitors will be able to learn about the country’s more recent global success stories including Roxette, Europe and Swedish House Mafia. “Abba was a door-opener for so many other artists,” Mr Hansson says. The museum is hoping to attract several hundred-thousand visitors in its first year, half of them foreigners. va Camel from Visit Stockholm, the city’s tourist board, believes the museum will become its most popular tourist destination. By 2020 she hopes there will be 15 million commercial overnight stays a year in Stockholm – compared with around 11 million in 2012 – with the Abba museum “a very important piece in the plan to help reach that goal”. Fans say the exhibition will provide a focal point where they can celebrate the group. The Polar Music Studio was turned into a gym in 2006. The Hotel Rival, which is owned by Benny Andersson from the band, is said to attract some so-called “Abba tourists”, although on our visit its red-cushioned chairs appear to be full of Swedes holding business meetings. “I think it is great that we will finally have a place to remember the band in their home city,” says Stockholmer Micke Bayart, 45, in the hotel’s cafe. He used to run an Abba fan group and has written a book about his experiences following the band. He argues that Swedes have, at times, been too modest or even embarrassed about the band’s success and he hopes the museum will also help revive national interest in the group. 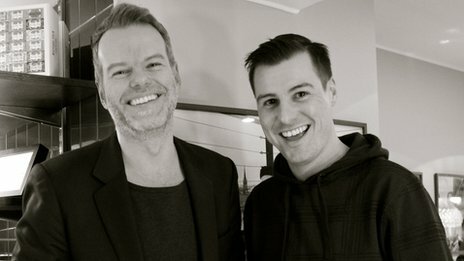 His comments are endorsed by 29-year-old Karl Batterbee, from Drogheda in Ireland, who recently relocated to Stockholm, where he runs a website dedicated to Scandinavian chart music. 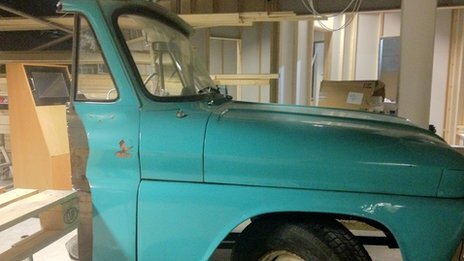 This is a replica of a car used by Benny Andersson during his time in his previous band, The Hepstars. The museum will look at all the band members’ lives before they joined Abba. As a teenager in the 1990s he became “pretty much hooked” on Abba after discovering their compilation album Abba Gold. Certainly not all his contemporaries share his enthusiasm. Another customer at the cafe, Steinar Aspoy, 32, says he is tired of Abba being so iconic. Mr Batterbee says “the Swedes have a strange relationship with Abba, because they were never as big here as they were abroad”. But he adds that when he DJs in bars, “rarely a night goes by when I don’t get a request for an Abba track… you can tell there’s a genuine fondness there”. Abba have not performed together in public since 1986, and last appeared as a group in 2008 to attend the Swedish premiere of the Mamma Mia! film. Organisers say they are unsure whether the band will reunite again to attend the museum’s official opening in May. Agnetha Faltskog is busy promoting her first album in nine years around Europe, and Frida Lyngstad now lives in Mallorca and Switzerland. “The visitors and the whole crew behind the museum – everyone – wants them to come. But they have their own agendas and they are really busy,” says Ms Halling. Agnetha’s single When You Really Loved Someone is to be released as a one-track CD single on April 15th. For the album’s first single, the gorgeous When You Really Loved Someone, Elofsson and producer Peter Nordahl have encased Fältskog’s voice – which still has the ability to seem tender and bruised – in the sort of ballad that makes grown men weep. 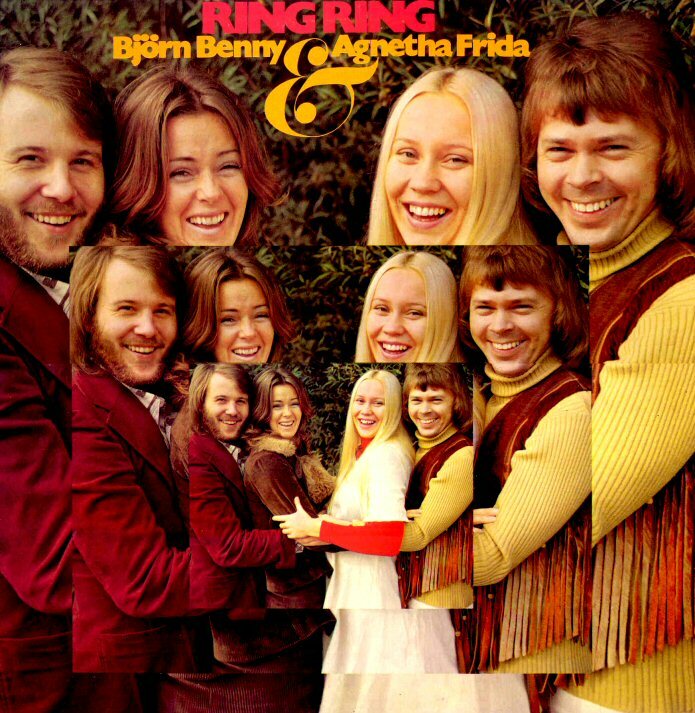 While the wistful verses set the scene nicely, it’s all about the bittersweet chorus that washes in on a wave of tears and the kind of key change only a bunch of Swedes could create. • When You Really Loved Someone is out now. A is released on 13 May via Polydor. 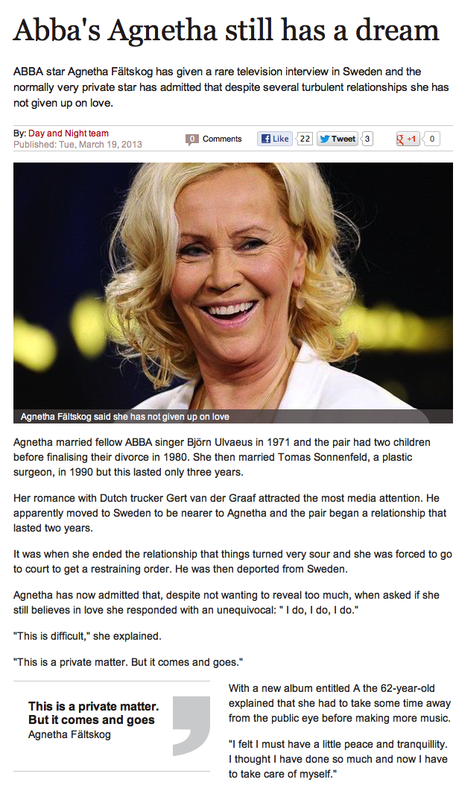 According to todays Daily Express,Agnetha still dream’s of finding love. Not what she actually said on Skavlan but typical of how the press can twist a comment. Comments : Comments Off on Agnetha’s Dream? !